This year, I wanted to make a fun Disney Christmas advent calendar for our kids, and keep it simple. I created simple tags that could double as gift tags, and attached them to a thrifted art piece that I painted and added twine. It turned out so cute, and the kids are over the moon excited about pulling a tag. I found the chalkboard pins at Michaels, and wrote the numbers in white chalk pen. 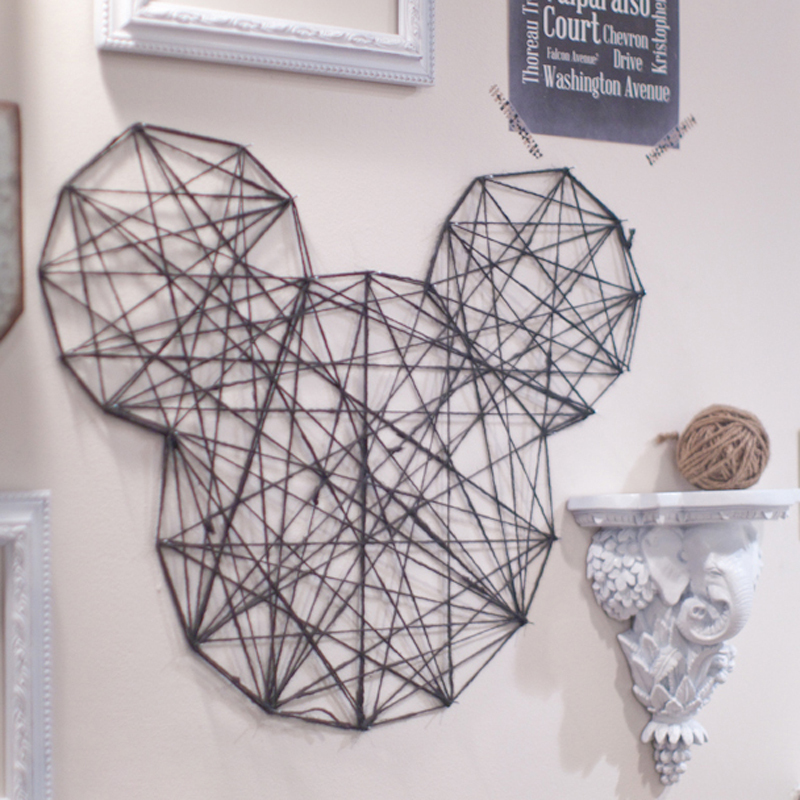 Then, hot glued twine on the painted art piece. The clips are top heavy and flip over when there aren’t any tags on them. I printed the tags on cardstock, and wrote fun things we can do each day on our countdown to Christmas. I added a little gold tree for the kids to add the tags as ornaments. And as a gift to you, We’re giving away the printable tags for free. Feel free to download them and enjoy! We’re going to try this for our Christmas 2016. Yay! Let us know when you do! !